English belongs to the group of Germanic languages, i.e. English goes back to the same proto-language that is also the “mother” of Dutch, Low German, High German, Norwegian, Danish, Swedish, Icelandic. The group of Germanic languages, in turn, belongs to the Indo-European language family, like the Romanic languages (e.g. Portuguese, Spanish, French, Italian) and their “mother” Latin, the Celtic languages (e.g. Welsh, Irish, Scottish Gaelic), the Balto-Slavic languages (e.g. Polish, Czech, Croatian, Russian, Lithuanian) and others. The date of the birth of English is normally given as 449, when the three Germanic tribes of the Angles, Saxons and Jutes are said to have settled over from the continental areas by the Northern Sea. The first written records of English can be dated back to the 7th century. The period from the mid-5th century to around 1100 is referred to as Old English, the period from 1100 to around 1500 as Middle English, the period from 1500 to around 1750 as Early Modern English and the period thereafter as Modern English. The historical study of English can begin by looking at the mix of languages from which English ultimately emerged: Indo-European. By examining some of the features of the different surviving Indo-European (IE) languages, linguists can reconstruct the sounds and the possible meanings of a language spoken by a group of agricultural peoples approximately five or six thousand years ago. By the term Indo-European, we mean that postulated “language” or group of dialects out of which the Western and Eastern European, Indian, and Iranian languages developed. Some language groups, like Hittite, have not survived. Who were the “Indo-Europeans”? It is generally believed that they probably lived in Southeastern Europe in the fourth millennium B.C. Recent archaeological discoveries have suggested that they buried their dead and that they moved into central Europe in about the third millennium B.C. and into Asia Minor and Indo-Iranian areas after about 3400 B.C. A series of later migrations brought them to Mediterranean and Northern Europe. At the end of the eighteenth century, the English scholar and diplomat William Jones, working in India, noticed certain features in the vocabulary and grammar of Sanskrit (the ancient classical language of India) that were shared with Latin and Greek and the modern European languages. In particular, he noticed certain words, like Sanskrit raj, Latin rex, German reich, and Celtic rix, that seemed similar in sound and meaning (they were all words for king or ruler). He also noticed certain grammatical features, like forms of the verb to be, that were shared in the different languages. Jones posited that these various languages must have descended from an original tongue. In 1799, he identified the tongue as Sanskrit, thus subscribing to the myth of language decay. In the nineteenth century, following up on Jones’s discovery, language scholars began to develop the study of comparative grammar. Scholars, particularly in Germany, began to codify relationships of sounds among different languages. They also proposed lines of descent among the different languages, introducing the metaphor of the “language tree.” In the nineteenth century, scholars made the development of language the subject of linguistics. By the 1870s, scholars had formulated a series of sound relationships among the languages that were recognized as having historical meaning: i.e., they showed not only relationships among living languages, but also lines of descent from earlier forms of the languages. The earliest inhabitants of the British Isles, whose language we can reconstruct, were Celtic speakers who migrated from Europe sometime in the second half of the first millennium B.C. The Romans colonized England under Julius Caesar and kept it as a colony until the middle of the fifth century A.D. Latin became the prestige language of administration, education, and social life. During the last decades of Roman colonial rule in England, groups of Germanic-speaking tribes and raiders began to settle portions of the British Isles. By the middle of the fifth century, raids and settlements became more frequent, and by end of the century, settlements began to spread from the south and southeastern coasts into the southwest (in the area known now as Wessex). By the year 547, a kingdom was established in the north of England, north of the Humber river, by groups descended from the Angles, a Germanic tribe (they became known as Anglians). By the middle of the seventh century, small kingdoms were being established throughout England. Some of them were small outposts, really little more than extended farmsteads and small villages; others were larger, with rulers of great power and wealth. As these settlements developed, Old English emerged as a distinctive language, but it also developed four major dialects. Each dialect here, as well as subsequent dialects in England, had both natural and man-made borders. Verbs: OE, like all the Germanic languages, had two kinds of verbs—strong and weak. Strong verbs are verbs that signal change in tense through the change in the root vowel of the word. Examples of strong verbs are drink, drank, drunk; run, ran; and think, thought. Weak verbs are those that signal the past tense with a suffix ending in -d or -ed. Their vowel does not change. Thus: walk, walked; love, loved; care, cared. Many strong verbs have been changed, over time, into weak verbs. For example, the word meaning to grow, wax, was once a strong verb; now it’s just wax, waxed. Some verbs still remain strong (shine, shone), but weak forms have developed along with them (shine, shined). Such verbs, (e.g., hang, hung, hanged) have developed over time to signal different kinds of verbal relationships (e.g., transitivity: I shined my shoes, but the sun shone). Whenever we want to coin a new word in English, we make it weak: televise, televised. Nouns: like all the Germanic languages, OE had noun declensions. Nouns were in different groups, or classes. If you wanted to signal relationships in a sentence—subject, direct object, indirect object, instrument of action—endings were placed on the ends of the words. These are known as case endings. Moreover, like many other European languages, OE had full grammatical gender: nouns were masculine, feminine, or neuter. Concept nouns (ending in “ness”) were feminine. OE often signaled the plural of nouns with a final -s, as we still do today. But there were groups of nouns whose root vowel changed between singular and plural. Thus, man, men; foot, feet; mouse, mice, goose, geese. Continental: These are words borrowed before OE split off from the parent Germanic languages during the first centuries A.D. They were words from the old Roman Latin vocabulary, e.g., architectural and civic phenomena. For example, the word street is a loan-word from Latin strata. Insular: These are words borrowed into OE during the period of Anglo-Saxon settlement in the British Isles. They are words from newer Latin religious concepts (the Church), older Celtic terms from the indigenous Celtic peoples living in the British Isles, and words from the Scandinavian languages of Viking and Danish raiders in England. words from Scandinavian Germanic languages, borrowed during contact with the Vikings and the Danes during their raids on England in the eighth-ninth centuries. These words were distinguished by special sounds in the Scandinavian languages, in particular the sounds sk- and k-, that corresponded to the sounds sh- and ch- in Old English. Thus, words such as skirt, kirk, skipper, and dike are Scandinavian words whose OE counterparts are shirt, church, ship, and ditch. Words such as muggy, ill, ugly, egg, rugged, and the like have a distinctive Scandinavian set of sounds and were also borrowed during this time. words from learned Latin, taken into English during the period of the so-called Benedictine reform of the English church in the late tenth and early eleventh centuries, of complex meaning or reference: Antichrist, apostle, canticle, demon, font, nocturne, Sabbath, synagogue, accent, history, paper, etc. The first Viking attacks on England started around 800 AD and were at first merely plundering raids, but some fifty years later these attacks had become more serious and groups had even started settling in Britain. The resistance from the English was badly organised and often ineffective. The lack of unity in England made it a great deal easier for the Vikings to roam and raid the countryside. The Vikings, usually referred to as ‘Danes’, successfully took control of large parts of England, and towards the end of the ninth century their eyes turned to Wessex, the strongest of the Saxon kingdoms not yet under Danish control. Here, their conquering of England came to an end when King Alfred and his followers put up resistance, eventually forcing the Viking troops to surrender in 878. Alfred and the Viking leader Guthrum reached an agreement, called the Treaty of Wedmore, where the Vikings promised to leave Wessex alone and to accept Christianity. The northern and eastern counties already belonged to the Danes, and now a southern boundary was drawn. This area was what would be called the Danelaw. Verbs to cast, clip, crawl, cut, die, drown, gasp, give, lift, nag, scare, sprint, take, and want. And of course the present plural of ‘to be’, are. The fact that even the Norse pronouns ‘they’, ‘them’ and ‘their’ were accepted into English is remarkable; it is very unusual that grammatical items are borrowed. This suggests that there was extensive contact between the Anglo Saxons and the Vikings and a gradual integration of the two groups. As a result of the Norman invasion, England became a nation in which Latin, French, and English coexisted. Educated people were trilingual as a matter of course. English would have been their mother-tongue. They would have learned Latin as the required language of the Church, the Roman Classics, most scholarship, and some politico-legal matters. And they would have found French essential both for routine administrative communication within Britain and in order to be considered fashionable throughout Western European society. As the Middle Ages progressed, we find English gradually making inroads into domains of discourse which had previously been the prerogative of Latin or French. By the sixteenth century, trilingualism was restricted to a specialized, chiefly legal elite. But even in Shakespeare’s time and beyond, it was routine to speak Latin in school. And London was already a multilingual city, containing many speakers of Dutch, French, Spanish, Italian, Hebrew, and other languages. The Middle Ages was also a period of significant population growth. Dialects and accents exist to express identity, and as a population grows and spreads, so regional variations proliferate. Thanks to the preservation of written materials, we can see a noticeable increase in the range of dialects during the period, but the names scholars have given to the dialects are not exactly the same as those recognized in Anglo-Saxon times. West Saxon is called South-Western, or Southern. Kentish is usually referred to as South-Eastern. The old Mercian dialect area splits into two distinct regions, called East Midlands and West Midlands, the dividing line broadly following the path of the southern Pennines and the Cotswold Hills. An East Anglian area is sometimes separately distinguished. The East Midlands – taking this to include the London area – proves to be of special significance for the later history of English, as it is the region which had greatest influence on the evolution of the standard language. The most noticeable dialect differences in Middle English, as we would expect, are those between the parts of Britain furthest away from each other – the north and the south. And it is this difference which is represented in the very first ‘dialect story’, in which characters are represented as coming from different parts of the country. This is in one of Chaucer’s Canterbury Tales. The various characters in the Tales come from all walks of life and regional backgrounds, but in only one story do they talk as if they do – in The Reeve’s Tale, where two students from the north of England, speaking a northern dialect, defeat the trickery of a miller from Cambridgeshire, who speaks southern. The period in which Chaucer wrote (Middle English) illustrates an age when all accents and dialects were equal. The written language permitted the use of a wide range of variant forms, each of which was acceptable. One person may not have liked the way other people spoke or wrote – that is a character-note for the human race – but there was no suggestion that they were somehow ‘incorrect’ as a result of doing so. Middle English is the only period in the history of English when we can see regional variation reflected in the written language so widely and so unselfconsciously. Noun case endings were simplified or lost. Verb endings were maintained, but simplified; Old English, like other Indo-European languages, had a dual pronoun—a pronoun that signaled just two people; this dual was lost. Grammatical gender was lost. Nouns were no longer masculine, feminine, or neuter. As these things were happening, several other changes were at work in English during—or better yet, in spite of—the Norman Conquest. OE began to lose some of the characteristic consonant clusters that gave it its distinctive sound. Certain OE words underwent a special sound change called metathesis. This is the inversion of sounds in order. We hear this when we identify certain regional dialects by the pronunciation “aks” for “ask.” During the late OE and early ME period, certain words permanently metathesized their sounds: brid > bird; axian > ask; thurgh > through; beorht > bright. 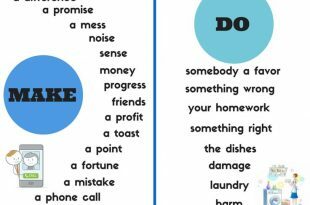 Some strong verbs (need, help, wax) changed to weak ones. The system of making meaning was changing at the same time newer French words were inflecting the language. Parts of the poem “The Owl and the Nightingale” (c. 1200) employed a Continental poetic structure with a vocabulary that was primarily Anglo-Saxon. By the 13th century approximately 10,000 French words had come into English. About three quarters of these French loans are still in the language today. These new words duplicated words that existed in Old English from Anglo-Saxon times. Sometimes one word would supplant the other or both would co-exist, but develop slightly different meanings. For example, doom (OE) and judgment (F), hearty (OE) and cordial (F), and house (OE) and mansion (F). A study of the types of words that were borrowed from Norman French says much about the socio- cultural situation of the time. The vast majority of the borrowed words belong to the spheres of court, administration, law, the army, the Church, art, literature, medicine and the sciences. Some examples include prince, duke, count, baron, crown, majesty, mayor, minister, parliament, state, accuse, crime, defend, judge, justice, prison, punish, army, battle, lieutenant, navy, soldier, dean, divine, prayer, preach, saint, vicar, image, paint, literature, poem, medicine, physician, surgeon, science, theory, invent etc. It is significant that the names of the domestic animals (which were tended by the Englishmen of the lower classes) remained native, while the corresponding dishes (which were eaten by the Norman lords) are often French: ox-beef, calf-veal, pig-pork, sheep-mutton, hen- poultry. Not only did Norman French bring great changes to Old English vocabulary, spelling changes also occurred. The Norman scribes listened to the English they heard around them, and began to spell it according to the conventions they had previously used for French, such as qu for cw (queen for cwen). The scribes also introduced gh (instead of h) in such words as night and enough, and ch (instead of c) in such words as church. Another change introduced was ou for u (as in house). Yet one more change was the use of c before e (instead of s) in such words as cercle (‘circle’) and cell. The Normans gradually became isolated from their French roots. In 1204 King John, a descendant of William the Conqueror, lost the province of Normandy to the king of France. At the end of the 14th century the Anglo-Normans no longer had any land left in France. The Normans decided to adopt English as their official language and in 1362, Parliament was opened in English. This parliament was situated in Westminster, London and this resulted in the eventual dominance of the London dialect as the standard spoken and written language due to London’s importance as a commercial centre and seaport, as well as its proximity to the court in Westminster. A process of standardization of English had begun. During the Middle Ages, the south-east of England – in particular the triangular area with focal points in London, Oxford, and Cambridge – became a region of special social and economic influence. Social change always has a linguistic sequel. It was inevitable that the speech of those south-easterners in routine contact with the worlds of courtly culture, commerce, and learning would increase in prestige, and begin to be evaluated as a more polished, elegant, and altogether more desirable medium of communication than the varieties available elsewhere. 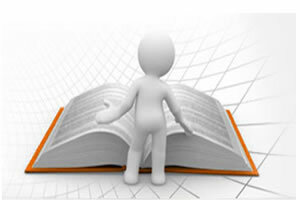 The stage was set for the emergence of a standard language. 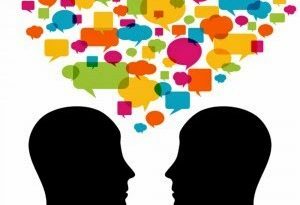 The linguistic climate of a community changes as a standard language grows. When one dialect achieves a special social position, associated with power and prestige, and begins to be described using such terms as ‘correct’, ‘proper’, and ‘educated’, the nonstandard varieties – the regional varieties, in particular – begin to be ridiculed and condemned. But it takes time for this situation to become established, and in Britain the opposition between ‘standard’ and ‘nonstandard’ or ‘substandard’ did not fully manifest itself until the end of the eighteenth century. But nobody – and certainly not a few lexicographers, grammarians, and elocutionists can keep under control the powerful human drive for the expression of social identity. And within a few decades of its arrival, the notion of a ‘standard’ English, conceived as a uniform mode of linguistic behavior uniting English speakers everywhere, began to fragment. While Johnson, Lowth, Walker, and the other prescriptivists were busy inserting the remaining bars into a cage which they thought would keep English under proper control in Britain, on the other side of the Atlantic the cage-door was about to be opened by Noah Webster, who was proposing a different set of linguistic norms for American English. As the eighteenth century reached its close, English had either been established, or was about to be established, in as many as seven regions outside the British Isles and the United States: in the Caribbean, Canada, Australia, South Africa, South Asia, West Africa, and Southeast Asia. In each of these places, English was adopted and then immediately adapted to express the new circumstances and identities of the people. And it would not be long until the birds came home to roost, with fresh patterns of immigration introducing these new accents and dialects back into the mother country. Two major factors that influenced the language and served to separate Middle and Modern English were the Great Vowel Shift and the advent of the printing press. The Great Vowel Shift was a change in pronunciation that began around 1400. During the next two centuries there was a great influx of people into the London region and the different dialects began to affect the pronunciation patterns of the standard. While modern English speakers can read Chaucer with some difficulty, Chaucer’s pronunciation would have been completely unintelligible to the modern ear. Shakespeare, on the other hand, would be accented, but understandable. In short we can summarize the vowel shift as a process which led to long vowel sounds being raised and diphthongized. Chaucer’s Lyf (pronounced /lif/), for example became the modern life. The principal changes were roughly the following — though exceptions occur; the transitions were not always complete. The last major factor in the development of Modern English was the advent of the printing press. William Caxton brought the printing press to England in 1476. Books became cheaper and as a result, literacy became more common. Publishing for the masses became a profitable enterprise, and works in English, as opposed to Latin, became more common. Finally, the printing press brought standardization to English. The dialect of London, where most publishing houses were located, became the standard. Spelling and grammar became fixed, and the first English dictionary was published in 1604. Note that much of this standardization in spelling took place before the Great Vowel shift was completed, and old pronunciation patterns are often reflected in English spelling. The Early Modern English period coincided with the Renaissance. This was a great time of learning and discovery. Many new words had to be found for all the new concepts that needed naming. At the time, there was a heated debate going on in England whether these terms should be coined from Anglo Saxon words or whether they should be borrowed from Latin and Greek, which were considered to be the languages of learning. To cut a long story short, the Latin/Greek promoters won the dispute (later called the Inkhorn Controversy), and a great number of Latin and Greek terms were borrowed into English. A final factor which affected the vocabulary of English was the expansion of the British Empire. People came in contact with languages all over the world and borrowed freely from them, especially words denoting objects and phenomena that they themselves lacked words for. Examples include taboo (Polynesian), bungalow, jungle and yoga (Indian languages), tea and ketchup (Chinese), boomerang (Aboriginal languages), moccasin and squaw (Native American languages). In speech, the legacy of the eighteenth century concern about class and correctness led to the emergence of one accent which attracted more prestige than others – the speech of polite London society. By the 1830s, writers were advising provincials to speak like Londoners, and by the end of the nineteenth century this accent received a name. It was called ‘received pronunciation’ (now usually referred to by its initials, RP) – that is, the kind of pronunciation passed down from one educated generation to the next. RP quickly came to be associated with a public-school education followed by higher education at Oxford or Cambridge. And the accent then rapidly spread through the career structure which such an education opened up – in the civil and diplomatic service (especially abroad, as the Empire expanded) and the Anglican Church. When the BBC was established, in the 1920s, it was the accent used by its presenters. And it remained the accent of educated choice for most of the twentieth century, going by such varied labels as the ‘Oxford accent’, ‘BBC accent’, the ‘King’s/Queen’s accent’, and a ‘public-school accent’. But almost as soon as RP arrived, it began to diversify. It already contained a great deal of personal variation, and it was subject to change, as any other accent. By the beginning of the twentieth century it was displaying a range of chiefly age-related differences which would later be described as ‘conservative’ (used by the older generation), ‘general’ (or ‘mainstream’), and ‘advanced’ (used by young upper-class and professional people), the latter often being judged as ‘affected’ by other RP speakers. It retained its upper and upper-middle social-class connotation, as a supra-regional standard, but from the 1960s it slowly came to be affected by the growth of regional identities, resulting in the re-emergence of regional coloring – a phenomenon now described as ‘modified RP’. There was also a reduction in the extent of the country which recognized RP as a desirable standard. It had never had great presence in the Celtic-speaking parts of the UK, and these days, especially after devolution in Wales, Scotland, and Northern Ireland, RP survives in most educated voices only with a noticeable regional modification. But even in England, the range of the accent as spoken by the educated class has dramatically altered, incorporating a number of features previously associated with local London speech to produce the accent that the media have happily designated ‘Estuary English’, or simply ‘Estuary’. Although Estuary was first noticed in the 1990s with reference to the accent emerging around the mouth of the River Thames, it soon became apparent that this name would not do as a means of characterizing an accent several of whose features were spreading around the country. Moreover, the trend had been around for quite a while. As early as 1949, the phonetician Daniel Lones had commented that ‘it seems quite likely that in the future our present English will develop in the direction of Cockney unless special influences come in to counteract this tendency’. No such influences arrived. By the 1970s, accents showing a mixture of RP and Cockney were becoming noticeable, motivated by an up market movement of originally Cockney speakers and a down market trend towards ‘ordinary’ (as opposed to ‘posh’) speech by the middle class. By the 1990s, attitudes had begun to change, with conservative RP attracting negative attitudes, such as ‘posh’ and ‘distant’, and modified varieties (such as Estuary) eliciting such positive evaluations as ‘warm’, ‘customer-friendly’, and ‘down to earth’. For many people, no further evidence of the rehabilitation of regional accents is required than the voices heard during the 1990s in call-centers throughout the UK (before the move to India took place), where Edinburgh Scots, Yorkshire, and other regional forms were routinely encountered, but traditional RP hardly ever. The number of people using a classical RP accent has fallen greatly, as a consequence. Estimates of usage in the 1980s were that between three and five percent of the British population still used it – around two million. This must be now less than two percent and falling. The Colonial period, initiated by the establishment of the first permanent English-speaking colony at Jamestown, Virginia, in 1607. Though English speakers had established contact with the New World, both directly or indirectly, before this time, the Jamestown colony began the creation of a new variety of the language. Three factors brought this new variety into existence: the exposure of English speakers to new experiences on the American continent that required new ways of talking about them, the begetting of a native population to whom those experiences and the new ways of talking were normal, and the obstacle that distance made for communication with their fellow English speakers in the motherland. The result is what might metaphorically be called the gestation period of American English. The National period, beginning with the American Declaration of Independence from England in 1776. Political independence brought with it inevitably – and in the case of the new United States, swiftly – a quest for cultural independence that included linguistic self-awareness. Many American colonists had from the beginning displayed independence and self-assertion. Indeed, their desire for independence – economic, governmental, and ecclesiastical – was a factor in the foundation of several of the colonies, though economic ambition on the part of the sponsors of various colonies also played a prominent role. After the American Revolution, the heady feeling of freedom from King and Parliament led to an assertion of other sorts of independence. During this period, English speaking Americans spread over the continent from the Atlantic to the Pacific, in the process absorbing and being influenced by the cultures of other settlers. To continue the metaphor, this period might be called the childhood and adolescence of American English. The International period, beginning with the Spanish-American War of 1898. Though the Spanish-American War was hardly more than a skirmish – a “splendid little war,” as it was called at the time – it was the turning point between some historical needs and the means of satisfying those needs. The needs were for new frontiers, new markets, and a new sense of purpose. America had begun as a frontier land; when the first settlers arrived, the entire eastern seaboard was frontier. As the settlers spread inland, the frontier continually receded to the west. By the end of the nineteenth century, the continent had been spanned and the expansion-minded and expanding population looked for new frontiers to absorb its surplus restlessness. In addition, after the Civil War, the successfully cohesive nation underwent an explosion of economic power. America had always been a supplier to other countries, but now it needed new markets to serve and be supported by. Perhaps most important, America’s sense of national purpose, defined very early in its history and adhered to faithfully, was one of “manifest destiny.” Although that catchphrase is now often regarded with irony as chauvinistic hubris, a sense of social and collective calling has been basic to the national consciousness. It underlay the foundation of the earliest New England colonies, whose members listened to the words of the Sermon on the Mount (Matt. 5.14): “Ye are the light of the world. A city that is set on an hill cannot be hid.” Today, we may regard the Puritans’ belief that they were that “city set on a hill” as self-righteous arrogance, but it was a motivating force for them. The Founding Fathers also went about their task of creating a new nation with a sense of historical inevitability and purpose. The nineteenth-century belief that it was America’s “manifest destiny” to expand over the continent from east to west was only one expression of a much wider sense of national purpose. But when that expansion had been accomplished, the nation felt called upon to look for its destiny elsewhere. The immediate results of the Spanish-American War included the independence of Cuba, the acquisition of the territory of Puerto Rico by the United States, and the forced sale of the Philippines by Spain. But the long-range result was the movement of America into international politics. The Spanish-American War was followed by the nation’s late entry into World War I, critical entry into World War II, and decisive role in bringing about the fall of the Iron Curtain, thus ending the division of the world into two evenly balanced power camps. The spread of the English language and its culture over the world is a major event in human history. That spread was effected chiefly by two impulses: the creation of the British Empire, which was at its height in the nineteenth century, and the spread of American technological and economic hegemony, which reached an apogee at the turn of the twentieth into the twenty-first century. 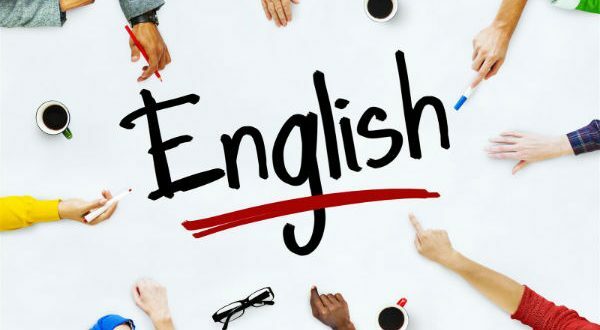 The worldwide dissemination of English, most recently in its American variety, affects other languages around the globe, but it also affects English, which is changed by its contacts with other languages, just as it changes them. So one sequel to that “splendid little war,” lasting only a few months, was the influence that American English has come to exert on other languages and the reciprocal influence they exert on English through its American variety. The otherwise minor Spanish-American War marked the maturity of American English and its entrance onto the world stage. The future is always uncertain. It is practically certain that other English speaking countries will come to play an increasing role in the world history of English, and it is probable that some of them will in time become principal players on that field, joining or perhaps displacing Britain and America. It is also possible that the English language will one day be replaced as the dominant means of communication for science, technology, commerce, and world culture generally. But that day gives no sign of dawning soon. During the foreseeable future, world culture (as distinct from local, national, and ethnic cultures) is being expressed through the English language, and increasingly through its American variety. How the big consequence of the present-day role of American English on the world stage developed from the small beginnings of colonial settlement and how English was changed in America during the process is the subject of this book. The focus of this chapter is on the experiences of Americans during the four hundred years of their history as those experiences impacted the language they speak. The English language belongs to the West Germanic branch of the Indo-European family of languages. The closest undoubted living relatives of English are Scots and Frisian. Frisian is a language spoken by approximately half a million people in the Dutch province of Friesland, in nearby areas of Germany, and on a few islands in the North Sea. The history of the English language has traditionally been divided into three main periods: Old English (450-1100 AD), Middle English (1100- circa 1500 AD) and Modern English (since 1500). Over the centuries, the English language has been influenced by a number of other languages. During the 5th Century AD three Germanic tribes (Saxons, Angles, and Jutes) came to the British Isles from various parts of northwest Germany as well as Denmark. These tribes were warlike and pushed out most of the original, Celtic-speaking inhabitants from England into Scotland, Wales, and Cornwall. One group migrated to the Brittany Coast of France where their descendants still speak the Celtic Language of Breton today. Through the years, the Saxons, Angles and Jutes mixed their different Germanic dialects. This group of dialects forms what linguists refer to as Old English or Anglo-Saxon. The word “English” was in Old English “Englisc”, and that comes from the name of the Angles. The Angles were named from Engle, their land of origin. Before the Saxons the language spoken in what is now England was a mixture of Latin and various Celtic languages which were spoken before the Romans came to Britain (54-5BC). The Romans brought Latin to Britain, which was part of the Roman Empire for over 400 years. Many of the words passed on from this era are those coined by Roman merchants and soldiers. After William the Conqueror, the Duke of Normandy, invaded and conquered England in 1066 AD with his armies and became king, he brought his nobles, who spoke French, to be the new government. The Old French took over as the language of the court, administration, and culture. Latin was mostly used for written language, especially that of the Church. Meanwhile, The English language, as the language of the now lower class, was considered a vulgar tongue. By about 1200, England and France had split. English changed a lot, because it was mostly being spoken instead of written for about 300 years. The use of Old English came back, but with many French words added. This language is called Middle English. The Middle English is also characterized for the beginning of the Great Vowel Shift. It was a massive sound change affecting the long vowels of English. Basically, the long vowels shifted upwards; that is, a vowel that used to be pronounced in one place in the mouth would be pronounced in a different place, higher up in the mouth. The Great Vowel Shift occurred during the fifteenth to eighteenth centuries. The most famous example of Middle English is Chaucer’s “The Canterbury Tales”, a collection of stories about a group of thirty people who travel as pilgrims to Canterbury, England. The portraits that he paints in his Tales give us an idea of what life was like in fourteenth century England. Modern English developed after William Caxton established his printing press at Westminster Abbey in 1476. Johann Gutenberg invented the printing press in Germany around 1450, but Caxton set up England’s first press. The Bible and some valuable manuscripts were printed. The invention of the printing press made books available to more people. The books became cheaper and more people learned to read. Printing also brought standardization to English. By the time of Shakespeare’s writings (1592-1616), the language had become clearly recognizable as Modern English. There were three big developments in the world at the beginning of Modern English period: the Renaissance, the Industrial Revolution, and the British Colonialism. It was during the English Renaissance that most of the words from Greek and Latin entered English. This period in English cultural history (early 16th century to the early 17th century) is sometimes referred to as “the age of Shakespeare” or “the Elizabethan era”, taking the name of the English Renaissance’s most famous author and most important monarch, respectively. England began the Industrial Revolution (18th century) and this had also an effect on the development of the language as new words had to be invented or existing ones modified to cope with the rapid changes in technology. New technical words were added to the vocabulary as inventors designed various products and machinery. These words were named after the inventor or given the name of their choice (trains, engine, pulleys, combustion, electricity, telephone, telegraph, camera etc). Britain was an Empire for 200 years between the 18th and 20th centuries and English language continued to change as the British Empire moved across the world – to the USA, Australia, New Zealand, India, Asia and Africa. They sent people to settle and live in their conquered places and as settlers interacted with natives, new words were added to the English vocabulary. Aarsleff, H. (1967) The Study of Language in England. Princeton, NJ: Princeton University Press. Algeo, J. (2001) The Cambridge History of the English Language, Vol. VI, Cambridge: Cambridge University Press. Baugh, Albert C., and Thomas Cable (1993) A History of the English Language. 4th ed. Englewood Cliffs, NJ: Prentice-Hall. Cassidy, Frederic G., and Richard N. Ringler. (1971) Bright’s Old English Grammar & Reader, 3rd. ed. New York, etc. : Holt, Rinehart and Winston, Inc.
Hogg, R. and D. Denison (eds.) (2006) A History of the English Language, Cambridge: Cambridge University Press.